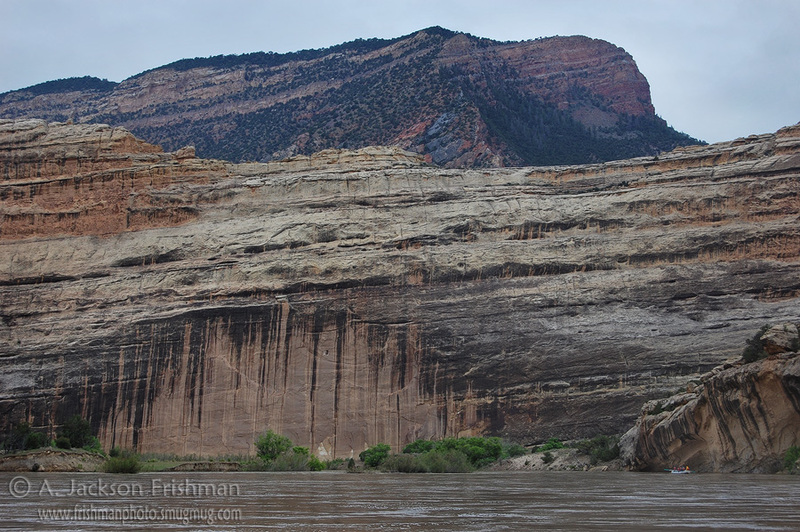 I originally wrote this piece at the behest of ARTA River Trips to assist rafting guides in understanding and explaining the amazing geology of Dinosaur National Monument and its river canyons. I decided it was worth adapting online, in the hope that it may prove interesting and helpful to other visitors. Shameless plug: You can see a lot of spectacular geology driving around Split Mountain, Jones Hole, Harper’s Point, Gates of Lodore and the Yampa Bench Road. But nothing can beat floating the rivers. 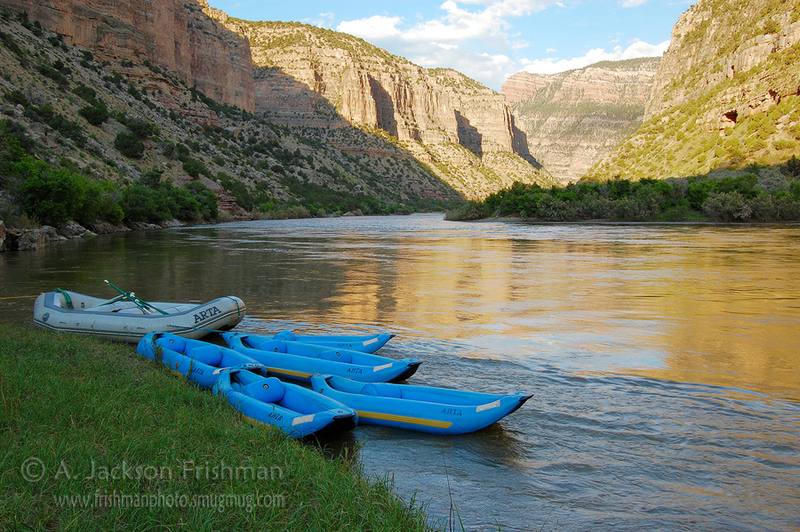 If this article should inspire you to float the Green or Yampa, please give ARTA a call! 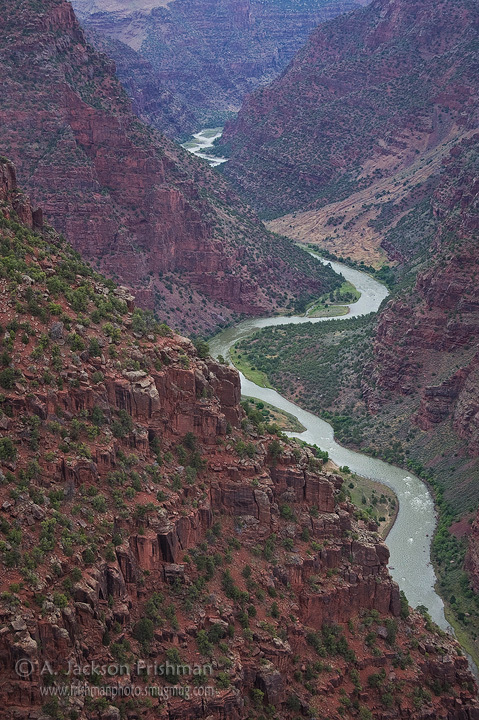 We’re one of the oldest companies in the business, we pride ourselves on our experienced and knowledgeable guides, and we’re a non-profit, so proceeds from your trip help support river conservation across the American West. Update: Portions of this article are now available in print in the new edition of Belknap’s Waterproof Dinosaur River Guide! There is no better place in the United States to form and develop an interest in geology than Dinosaur National Monument. Off the beaten path at the east end of the Uinta Mountains, straddling the Utah-Colorado border just south of Wyoming, Dinosaur is a hidden jewel of the national park system. Most people pass it by in favor of Utah’s more famous parks and Colorado’s alpine mountains, and most of the rest take a quick look at the dinosaur quarry and drive on. But the true glory of the place is in its 210,000 acres of of colorful rock layers, spectacular faults and deeply-carved river canyons. And it’s a great place to pick up or brush up your geologic knowledge. You can grasp most of the fundamentals in a single visit, but the intricacies of its structures and landforms invite years of study and exploration. The area was very important in the development of geologic thought in the late 19th Century. Many of the major peaks of the High Uintas are named after geologists: Powell, Hayden, King’s, Agassiz, Emmons, Marsh. The same clearly-visible rock layers and dramatic structures exposed in the river canyons that lead early geologists to ask new questions and formulate innovative answer make Dinosaur one of the absolute best places anywhere to spark and fuel an interest in geology, in both guides and passengers. What goes into a landscape? Imagine you’re studying a historic building; let’s say something like a ruined castle or a Roman temple. In terms of the physical structure itself, three areas come to mind to tell the story of the ruins’ present state. What’s it made out of? Where did the stone come from? How was it built? What shape did it take when it was intact? Why and how is it falling down? Deposition – How did the rock layers themselves form? Tectonic Uplift and Movement – How did the rock layers get into their present positions? How are they forming mountains? How did the layers get bent or broken? 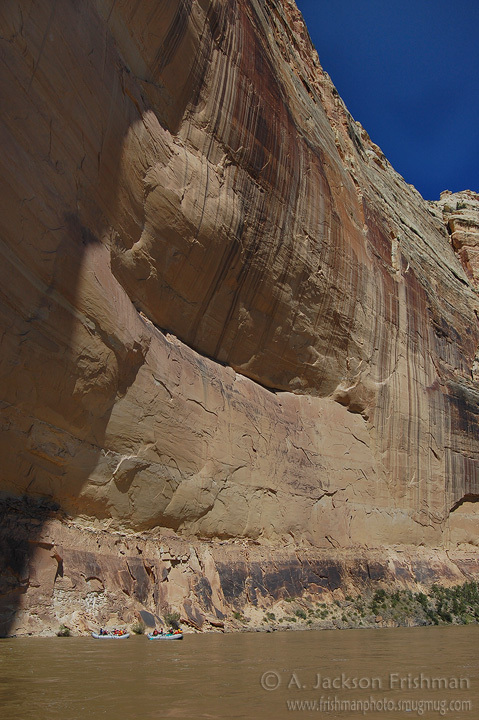 Erosion – How were the canyons carved? A whole bunch of sedimentary rock layers were laid down flat. The Uinta Mountains lifted up, pushing the rock layers up into a bunch of folded domes. The area was buried in volcanic ash, forming a flat surface. The rivers began flowing over the flat surface, and eventually cut down into the buried domes. The volcanic ash eventually washed away. 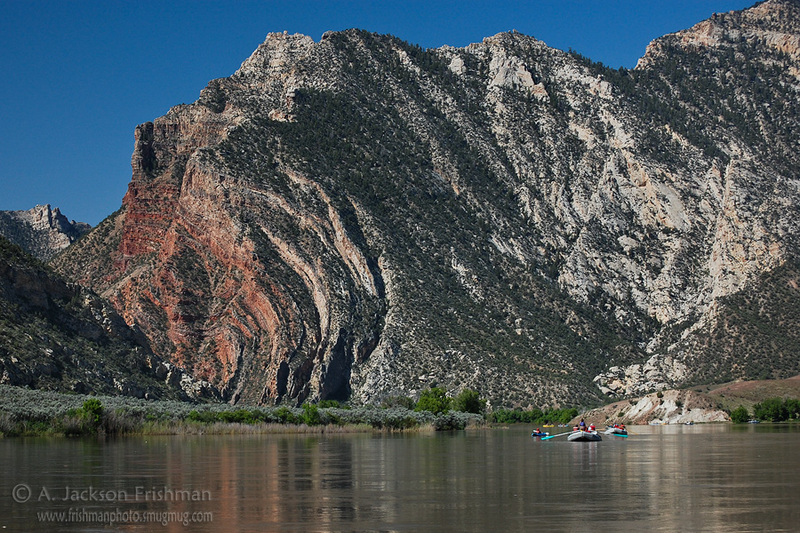 Strata of lower Lodore Canyon. Unfortunately, the Weber Sandstone is missing from this view, though it lies in its proper sequence just over the ridge in the Yampa Canyon. View is downstream, above Wild Mountain camp. I’d say there are six (arguably seven) important layers that every guide on Dinosaur’s rivers should be comfortable identifying. There are some others in the mix (Red Creek Quartzite, Humbug, Donut, Glen Canyon Sandstone), but these are minor in the overall geologic story and not very visible on a river trip. But whoever is giving the geology talk will have a smoother time of it if the other guides have spent the previous few days pointing out and familiarizing the guests with these major layers while floating. Lodore Formation (~500 million years old): This is the pancake-y, coarse, tan sandstone found above the Uinta Mountain Group. The best place to get up-close and personal with it is on the hike from Limestone camp. It also forms the dramatic, stripy undercut wall a little ways above Jones, and the cool, eroded alcove a little ways into the Jones hike. It was deposited near the shore by an ocean that rose to cover an eroded seacoast made of Uinta Mountain Group. Some pillars and outcrops of this coast can be seen in the ¾-mile or so below the Echo Park Dam site, covered by Lodore Formation not only on the top but around their sides as well (imagine craggy parts of the Oregon or Big Sur coasts getting suddenly buried in sand). Madison Limestone (~340 million years old): This is the gray, craggy layer that forms the big, sheer cliffs throughout much of Whirlpool Canyon, Jones Hole, in the Little Joe area in the Yampa, and in the middle section of Split Mountain. It was deposited in a deep ocean environment, in a seaway that stretched North-South across much of the continent. It and its relatives are found up and down the Rockies from Alberta to Mexico, and it’s basically the same stuff as the Redwall Limestone in the Grand Canyon. Round Valley Limestone: This is a pinkish, visibly-layered limestone stratum, which tends to be easily visible where it’s exposed, but you have to know what you’re looking for. 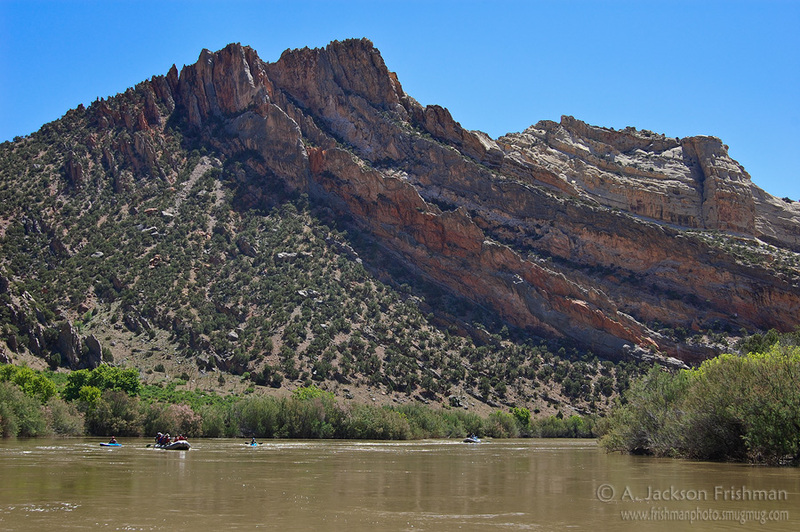 The only time we boaters see it up close is hiking at Anderson Hole on the Yampa, and it carries the crinoid and bivalve fossils we find there. 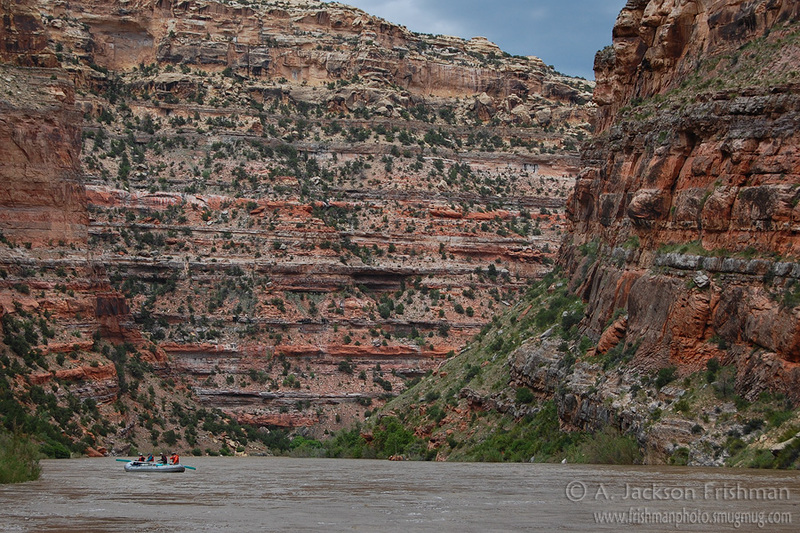 This makes it a relatively memorable layer on Yampa trips, but I might gloss over it for Lodore passengers (though there are some nice exposures in lower Whirlpool Canyon). Morgan Formation (~310 million years old): This is the very stripey orange and gray layer that we see throughout much of the Monument. It forms most of the canyon walls on days 1-2 of the Yampa, the bottom of Warm Springs Cliff, the scooping vertical fins in the Mitten Park fault, the top of Harper’s Point, many of the major cliffs in lower Whirlpool Canyon, and many other places. For such a common and visible layer, it’s surprising that the only place we regularly set foot on it is the Big Joe hike. It provides a good illustration of the mechanics of marine rock deposition. The type of sedimentary rocks deposited in an ocean depends on the distance from shore: heavy sand settles out on the beach and near shore, forming sandstone; finer particles make it further offshore to form shale; and in the open ocean, microscopic particles and plankton bodies fall to the bottom to form limestone. The Morgan comprises nine cycles of alternating bands of orange sandstone, brown-red shale (often hard to see), and gray limestone. This was due to cyclical freezing and thawing of the polar icecaps, causing sea level to rise and fall in matching cycles. Weber Sandstone (~300 million years old): This is the thick, golden tan layer that forms many of the most beautiful cliffs in the monument: Harding Hole, Mather’s, Box Elder, Echo Park, the beginning and end of Split Mountain, and the dramatic spires and pinnacles on Split Mountain’s skyline are all Weber. It is an Aeolian (i.e. wind-deposited) sandstone, made of solidified dunes from a vast, sahara-style sand desert. The grain of old dunes, called crossbedding, is often visible, notably between Harding and Mather’s. It is also the source of many of the hydrocarbons currently being extracted in the Vernal area. 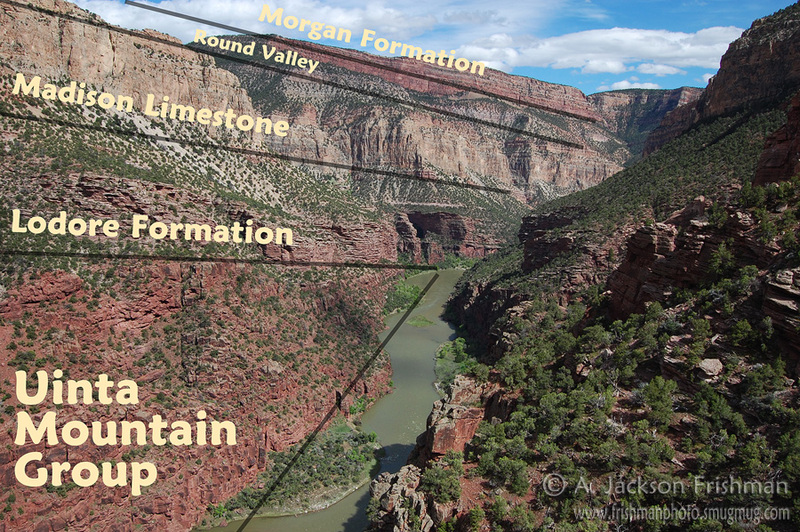 Uplift visualized: the Morgan Formation exposed high on Harper’s Point lies under Echo Park’s Weber Sandstone at river level in the foreground, more than 2,500 feet below. Throughout most of the region’s geologic history, the region was basically flat terrain lying below or near sea level. But in the late Mesozoic, around 70 million years ago, the middle of the continent started to lift up (reasons for this are complicated, still not perfectly understood, and outside the scope of most river geology talks). The Uinta range was one of the earliest uplifts in the Rockies. All these layers we’re talking about, originally laid down flat, were bowed upward into a giant arc, like an enormous onion 150 miles long East to West. The western half of the range stayed structurally intact, forming Utah’s highest mountain range, with all the state’s 13,000-foot peaks and most of its 12-ers. (Early in the season, you can see snowy Marsh Peak, 12,200’, just as you exit Whirpool Canyon into Island Park.) The High Uintas were heavily glaciated, and today are classic alpine country full of cirques, horn peaks and vast lake basins, mostly made of the same red Uinta Mountain Group we see down in the desert canyons. Youger rocks such as the Madison and Weber may be seen tilted up at steep angles on the range’s outer margins. The eastern Uintas did not stay so intact, but collapsed down the range’s axis, forming the Valley of Brown’s Park (i.e. Lodore put-in), and substantially lowering the area’s elevations compared to terrain further west. This collapse caused massive forces to ripple out to the range’s margins, the resulting tensions pushing up big chunks of land and causing others to drop down. The result was all the rippling anticlines and synclines we see from the guidehouse and on the put-in drives, forming the domes and valleys of Split Mountain, Blue Mountain and Island Park, as well as structures like the Mitten Park Fault. 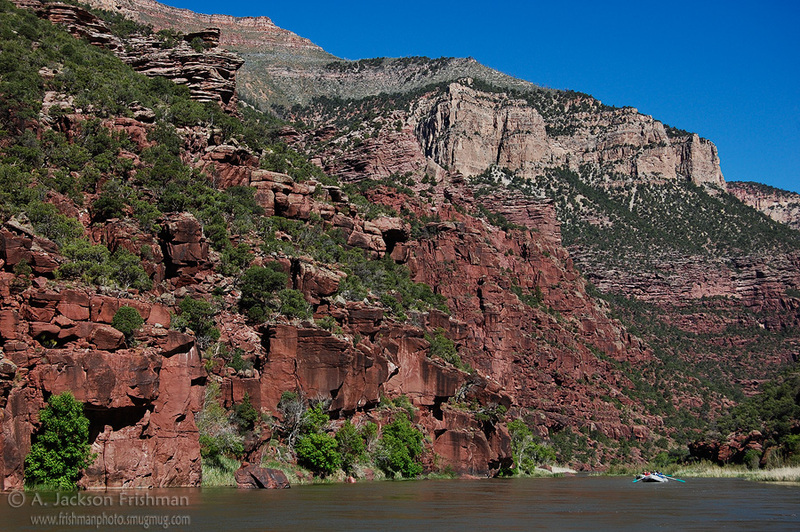 The canyons of Dinosaur are the area’s most obviously striking features, and just as they capture most of the attention of our river passengers, they also received much consideration from early geologists. They pose major questions which to the inquiring mind are in serious need of an answer. 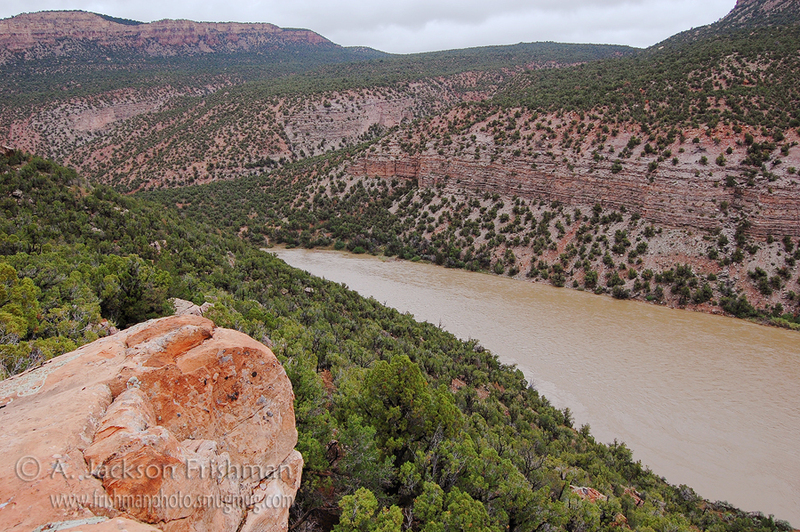 Why does the sheer, rocky canyon of the Yampa have looping meanders like a stream in a flat meadow? Why does the Green flow into the towering Gates of Lodore instead of through the gentler country of our put-in drive? Most dramatically, why does the Green flow right through the middle of the 2,000-foot high dome of Split Mountain instead of out through the rolling low hills west of Rainbow Park (imagine how this thought must have gripped Powell’s mind as he and his crew realized that their respite from toil and danger in Island Park was about to end in this new canyon)? The current thinking about these questions says that the entire landscape of the eastern Uintas was at one time essentially buried. The Uinta and Green River Basins to the south and north were largely full of eroded material, as was the valley of Brown’s Park. And large quantities of white ash from nearby volcanoes had covered the region, leaving only the highest summits of the eastern Uintas poking out of an essentially flat plain. (This white volcanic ash is called the Brown’s Park Formation, and it can be seen on the Lodore put-in drive approaching Maybell on Hwy 40 and further on as you get near Gates of Lodore.) In a nutshell, the rivers flowed freely over this plain, gradually cutting down until they hit the buried domes and structures of harder rock below. By then, they were trapped in their courses by the harder strata, and could only erode further down. Later, all the ash and other sediments filling up Brown’s and Island Parks eroded away, leaving the landscape once again exposed, but with river canyons now in place. 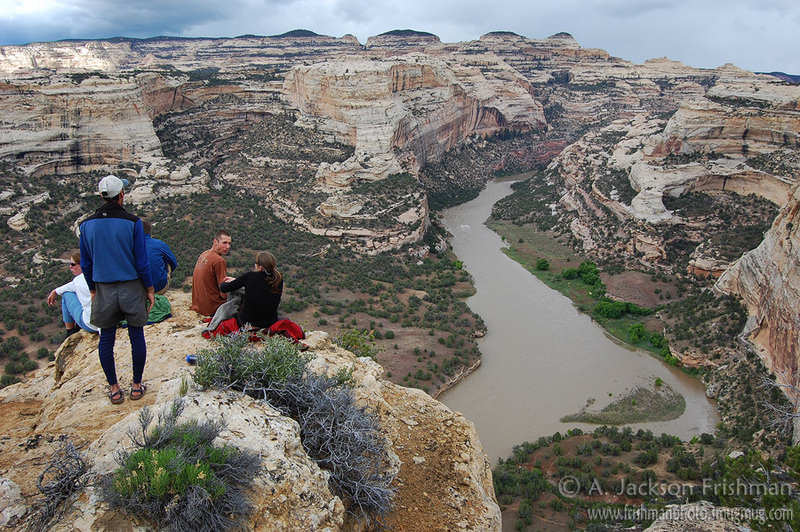 Why are the Lodore and Yampa Canyons so different? Much of the answer is, of course, that they’re cut through very different rocks, i.e. Uinta Mountain Group as opposed to Morgan and Weber. But there’s a little more to say. The general consensus is that the ancestral Green once flowed east across southern Wyoming to the North Platte drainage, and thence to the Gulf of Mexico. But gradual geologic uplift in southern Wyoming started impeding its flow, causing it to lake up on the north side of the buried eastern Uintas. Eventually, it pooled up enough to spill over to the south towards the Uinta Basin. Since Lodore was cut by that relatively sudden spillover, its canyon is fairly straight and has a pretty steep gradient, especially closer to the Gates. The course of the ancestral Yampa is less well understood, but it’s thought that it too once flowed east, along its current course but in the opposite direction*. Its waters were eventually captured by the now south-flowing Green. But it stayed in roughly its same course, flatland meanders and all, unlike the Green which suddenly carved a whole new path. I highly recommend that guides spending time in Utah read (and eventually re-read) both The Geologic Story of the Uinta Mountains and Dinosaur’s Restless Rivers by Wallace R. Hansen, both of which should be at the guidehouse and in our river libraries. Better still is floating the rivers with the latter guide. Don’t expect to understand everything at once, but keep coming back to these books to look for the answers to questions and in future seasons. The more you learn, the easier it is to start filling in the gaps in your understanding. If you really decide to dig into the subject, check out USGS Professional Paper 1356 by Hansen. Also, get out of the guidehouse on your days off and get to know the area. Every Utah guide should at least take a day to drive out to Harper’s Corner and see the Mitten Park Fault, Whirlpool Canyon and Echo Park from above. The large-scale patterns in the rock layers can be hard to see from the rivers, but are much more obvious from high up. There are also plenty of other outings that will help you get a sense of Dinosaur’s big picture. The drive from Vernal to Island Park and/or Jones Hole is nice and gives you interesting perspectives on Split Mountain, Island Park and Whirlpool Canyon. 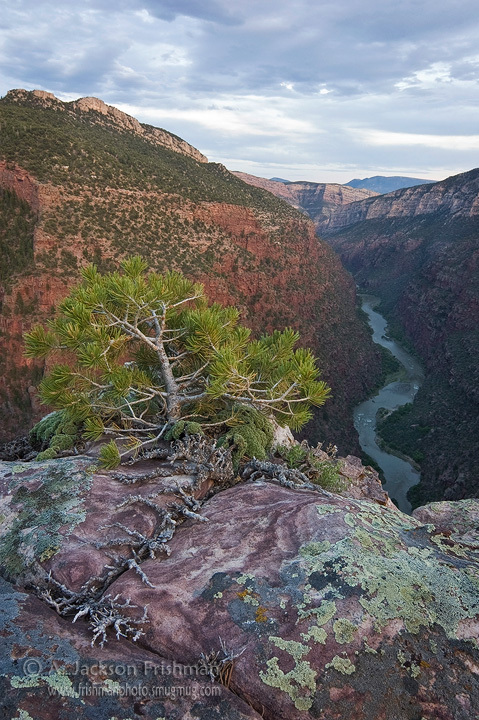 From the Jones Hole Road, you can also head north into upper Pot Creek, where a little exploring and hiking will get you to some fantastic views of Lodore from the rim. Driving north from Vernal to Flaming Gorge and/or Manila, UT is a good way to get a sense of the massive Uinta Anticline; the road has lots of geologic signs, and you can add the Sheep Creek Geologic Loop drive on the north slope of the mountains. The museum in Vernal has some great fossils and lots of info, and the Dinosaur Quarry should be very worthwhile if they ever finish rebuilding it. Finally, the High Uintas are a great place to get out of the summer heat and see those familiar purple rocks up in an alpine environment. Good roads lead to hiking trails, aspens and lakes up the Whiterocks and Uinta River drainages relatively close to Vernal. If you’re driving to Idaho or Oregon and have a little extra time, consider taking the Mirror Lake Highway (Hwy 150) from Kamas, UT to Evanston, WY; this west end of the range has the more dramatic peaks, lots of lakes and really good hiking potential. All text and images copyright 2011, Andrew Jackson Frishman. Please respect my work and seek permission to reuse any content. 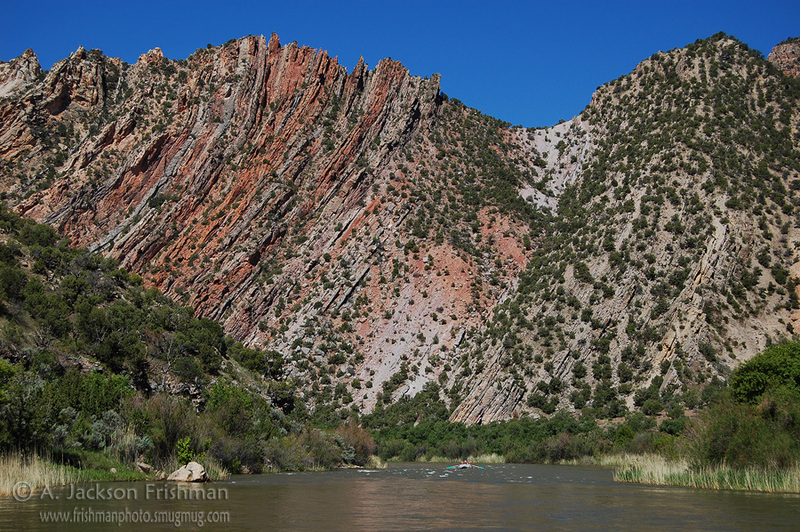 [Geology author Wallace] Hansen’s comment refers to a very ancient ancestor to the modern Yampa, so there is the question that we geologists argue about a lot – should we call a river that was there a few million years ago by the name of a modern river? 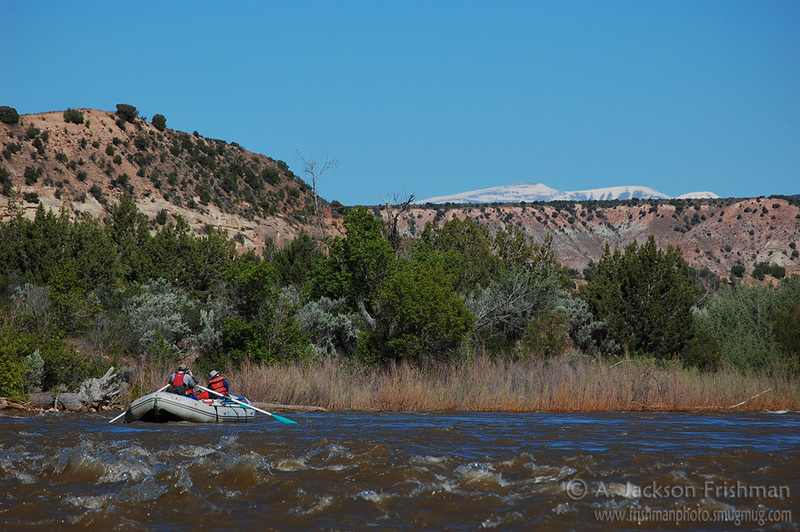 The modern Yampa river comes off of the Flat Tops, flows north along the west side of Green Mountain, flows east at the north end of Green Mountain, then north again parallel to the west side of the Park Range. Here is where the idea began. There is a conglomerate at the base of the Browns Park Formation that thins to the north and the clasts in it get smaller going toward the north into Wyoming. So Larson in 1975 suggested that an ancestral Yampa River deposited those gravels and flowed northward into Wyoming where it joined the ancestral Platte River and the combined river then flowed eastward. Hansen picked up that idea. But no one thinks that an ancestral Yampa originated in the west, say by streams flowing out of the Uintas or Wasatch, and flowed eastward in the area of Dinosaur. I don’t know of any geologist who thinks that the Yampa River once flowed eastward. I would appreciate it if you would contact me at my email address as I have a request to ask. Interesting, Bill. My source here is Hansen’s Geologic Story of the Uinta Mountains, pg 64: “The ancestral history of the Yampa is still in some doubt, even though it has received considerable attention. The pattern of drainage suggests that the Yampa may once have even flowed east from the Uinta Mountains, along with the Green. The Yampa may have joined the ancestral Green somewhere near Cross Mountain.” I believe Hansen also mentions this theory in Dinosaur’s Restless Rivers, though I don’t have a copy to hand. I don’t know just how old Hansen’s writings are in this regard though, and I’d definitely be interested in hearing about more current theories regarding the Yampa. Frankly, the Yampa draining east thing has never made much intuitive sense to me. Jackson, I would like your permission to use portions of your nice geo-writeup (mildly modified) & small versions of some of your accompanying photos, with full acknowledgment, for 7 friends going with me on a Yampa trip. 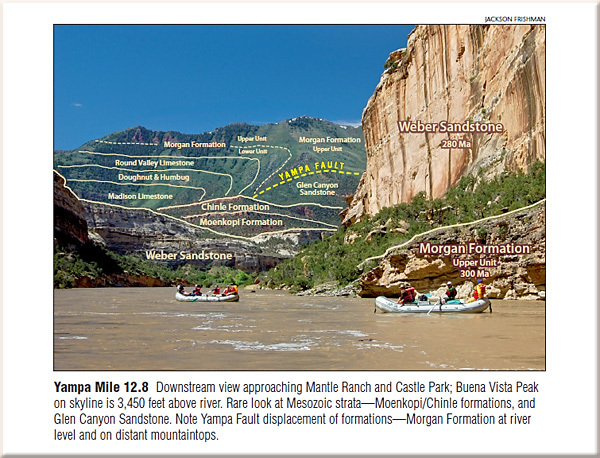 I’m a geologist, but have never floated the Yampa before & am not familiar with several of the formations. BTW, I’m not getting any ‘geology trip’ premium from O.A.R.S, just another paying tourist, trying to treat my friends with a nice geo-summary & home-made geo-river-guidebook. Please contact me for fuller particulars. Thanks! Jackson, this is the best geology of the CO Plateau article I’ve ever read. You’ve done a great job of illustrating the layer cake with your excellent photos and focused more on the sequence of events that formed these magical canyons. And I’m more fired up than ever to float the Green and the Yampa! Kind words, Dave, thank you! I know Dinosaur and Grand Canyon geology pretty well, but I get lost pretty quick in the younger strata in most of Utah. Yes, you must get on a river trip! What a wonderful write up on Dinosaur Geology–not to mention spectacular photos. Great writeup and geologic discussion on the geology of DNM. I must confess that my wife discovered our proximity to DNMon a Basin and Range/Yellowstone/CO Plateau trip these last few weeks. I am a hydrogeologist in CA and I love to subject my wife and son to these geo-trips. All I can say about DNM is wow, what an amazing amount of geology. 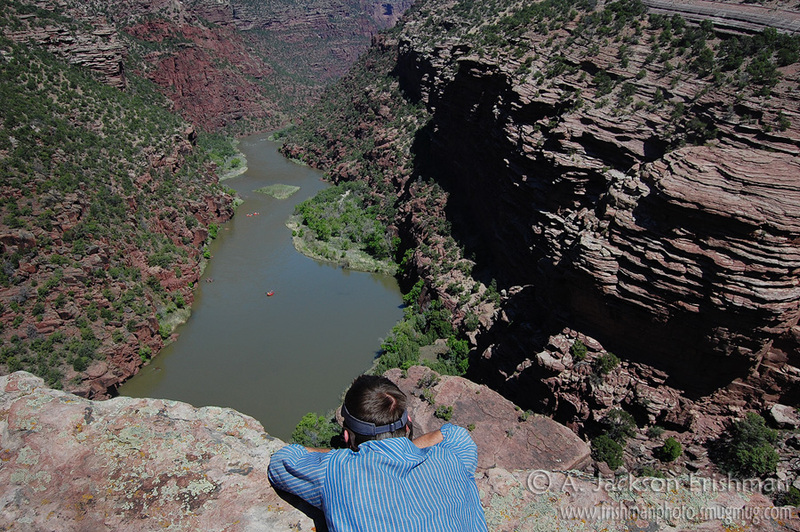 You can bet that I am going to drag my son on a rafting trip down the Yampa and Green. Great job! One question, the intense redbeds (that’s what we called ’em in WV). What age, formation are they from? Thanks for dropping by and leaving a comment Thomas! I’m glad you discovered Dinosaur, it’s an incredible place and has kept me coming back for many years now. I expect the redbeds you noticed were Moenkopi Formation. It’s an Triassic layer, and it isn’t really found in the river canyons proper (except for here), which is why I ignored it in this write-up. But there are some good exposures in the tilted hogbacks near Split Mountain and the visitor center, as well as just downstream of the Yampa put-in. It’s pretty widespread around the Colorado Plateau, and also pops up in some other areas like the Texas panhandle. Just a note – the Morrison Formation is actually 155-144 million years old, not 125 as you say above. The Cedar Mountain Formation (found across Utah and present at Dinosaur National Monument) is approximately 125 million years old, however. Thanks Erin, good catch and I’ve fixed it. I’ll freely admit to be lousy at keeping these specific numbers in my head, it’s the whole sequence and the structures that fascinate me. Wow! This is a lot of incredible information Jackson. Extremely informative. Thanks Michael! It’s a passion of mine, obviously. Glad you enjoyed!